The new Xbox Insider preview build 1703.170122-1900 is now available. 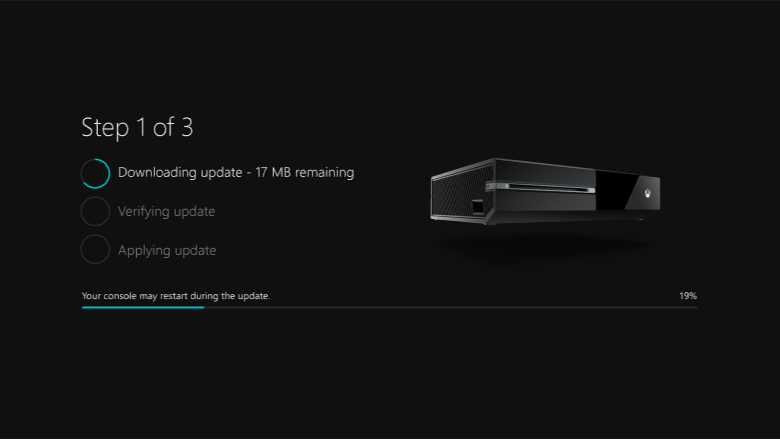 A new Xbox One features packed build rs2_xbox_rel_1703.170122-1900 for Creators Update is now rolling out for Xbox Insider members. However, the new update will be available for selected users only. If your console is in Instant-On mode and you have been selected to receive the update, it will download and install the update and reboot to standby. You can also manually begin the update by launching the Guide and navigating to All Settings > System > Console info & updates. Xbox Insider preview build 1703.170122-1900 fixed an issue which caused the console interface to freeze and become unresponsive when a steering wheel accessory was connected. When the console is set to pt-BR\Brazil, Dishonored: Definitive Edition crashes after launch.